We are very excited that we started our place based learning about the history and culture of where we live and play. Our school is on traditional Annishinabe territory and to facilitate our place based learning we are doing teachings from Annishinabe community members and organisations throughout the winter, the traditional time for Annishinabe to pass traditions and culture through teaching, storytelling and play. located on the shores of Georgian Bay, Ontario Canada. Ojibway/Potawotomi, Beaver Clan of the Anishinabeg Nation. Innovator, Reiki, Writer, Indigenous Knowledge keeper. Amy promotes optimism, determination and movement forward. ; Amy uses creative expression and her own personal experience to remind others of their inherent sacredness. 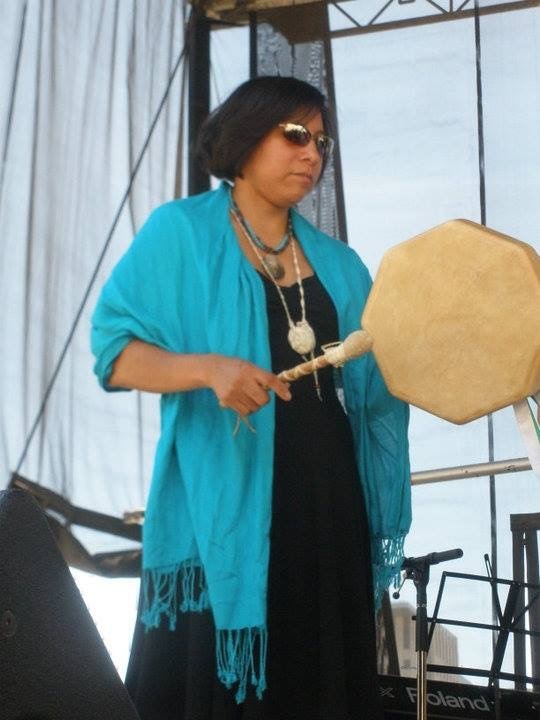 Amy gave teachings on the drum, it’s origins and taught some songs to the children. We look forward to having her back! 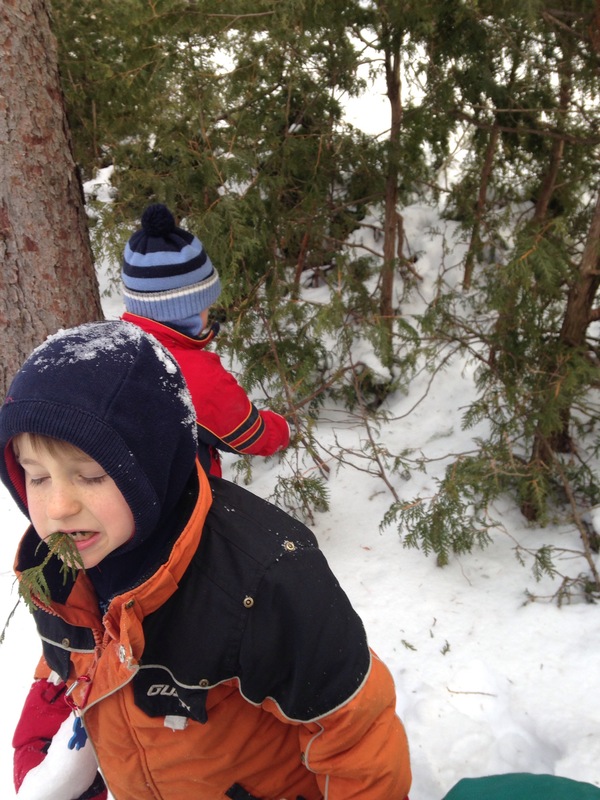 January 23, 2015 childongroundLeave a Comment on This Last Week at Forest Kindergarten…..
We explored the differences that winter has brought! 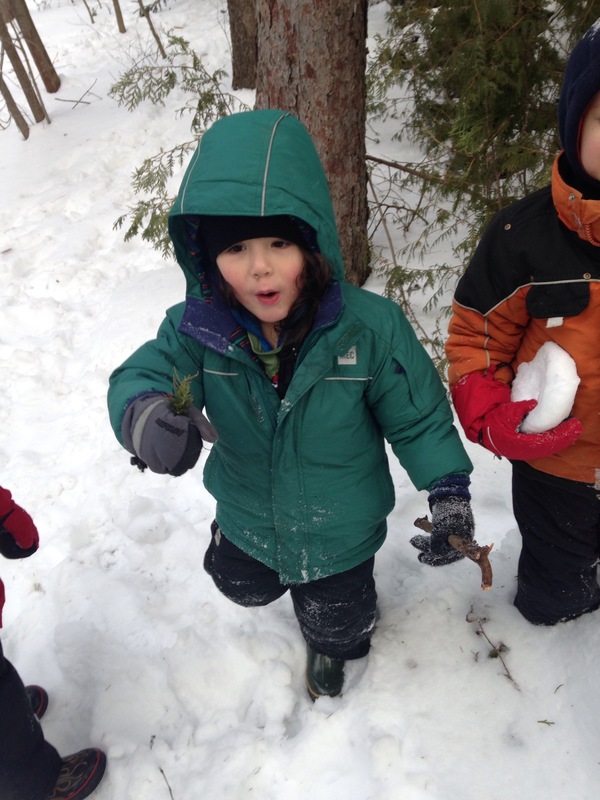 During the ventures into main camp that was fraught with dragons the children were excited to see signs of other wild creatures – including deer tracks “because they are round” and rabbit “because they are long” as we ventured in to main camp and then they added their tracks, and made dragon tracks and “snow shoe” tracks. 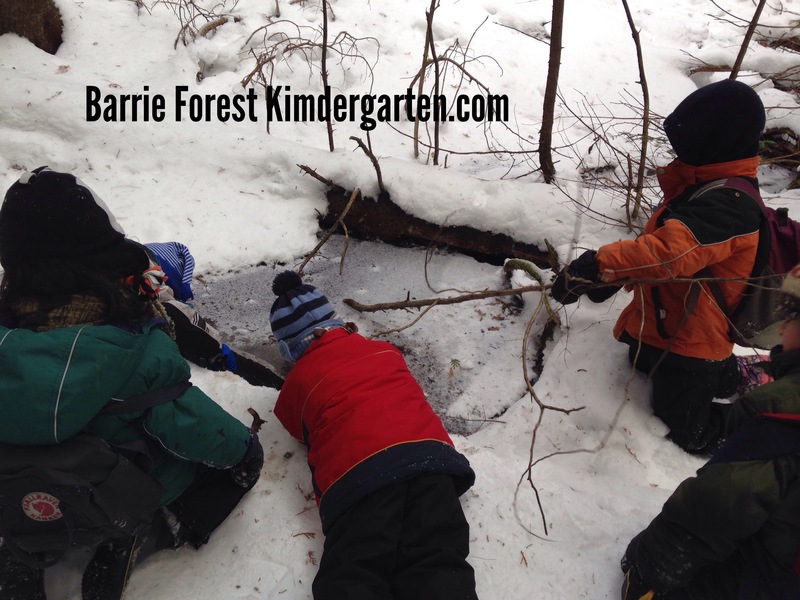 Once at main camp the kids were drawn to our creek excited about how winter had changed it and the experiments and explorations of the water, and ice over the water began. 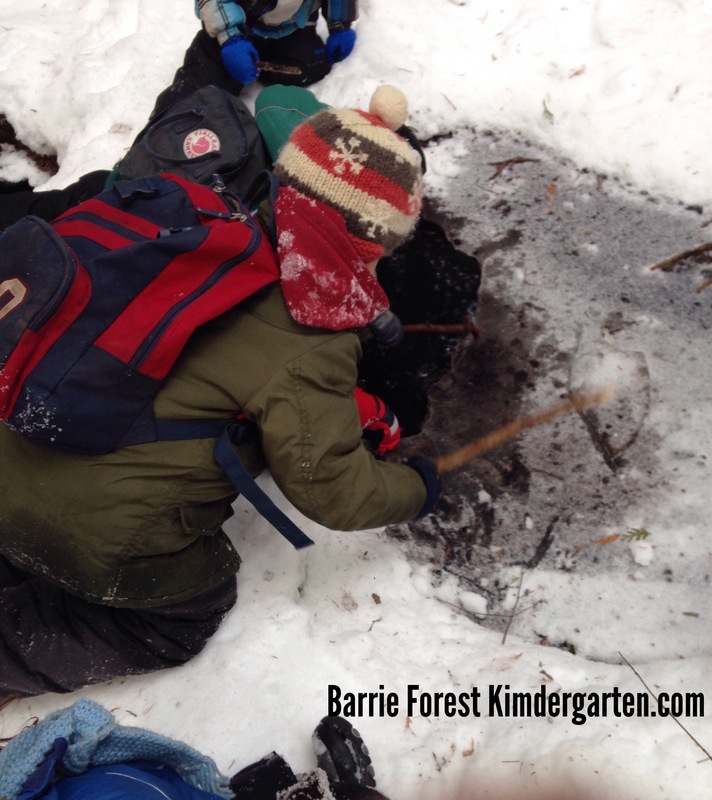 On Friday the explorations centred around a decision to go ice fishing so each child started on tasks that got them closer to their goal of ice fishing. 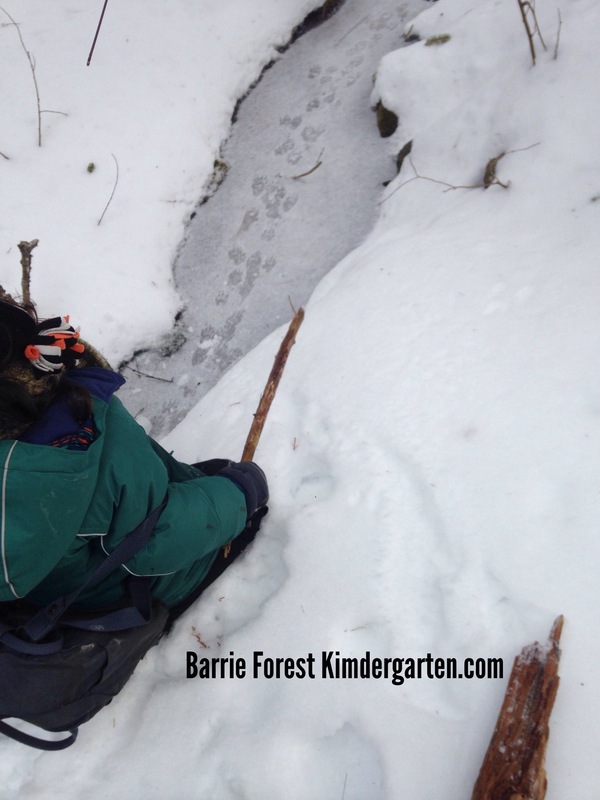 From smashing the ice to prying it up, to testing the water for fish. 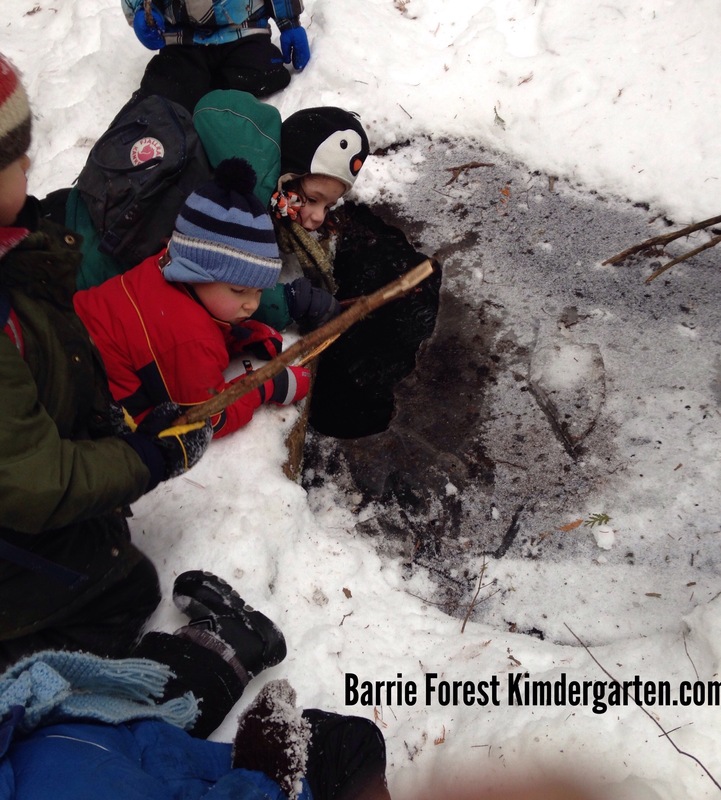 One child decided to make more mud for his task so he carefully set about getting snowballs and pushing them in the water with a stick to watch them disappear and “turn into” mud colour and then later proudly proclaimed he was making mud. 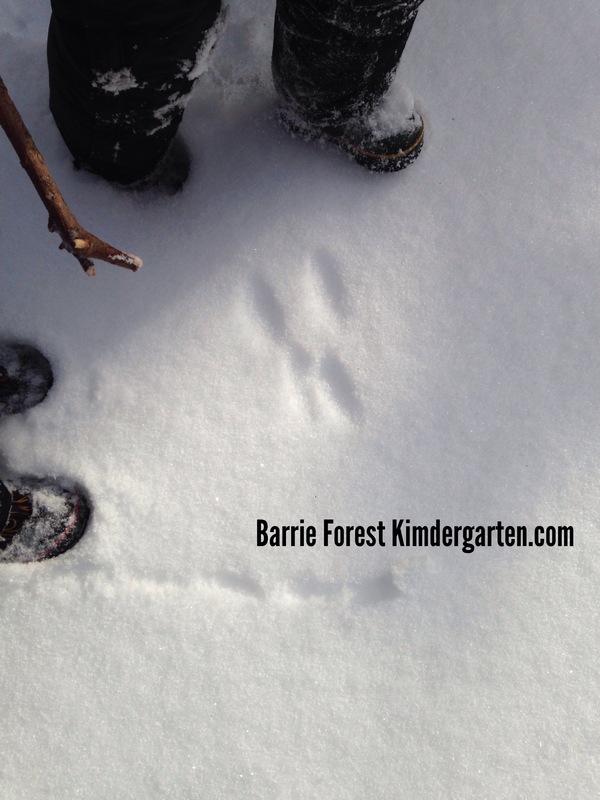 A great weekend presenting with Gail Molenaar at the Outdoor Educator Comference. Love connecting with like minded educators. Was perfect way to invigorate us for our first day of session! 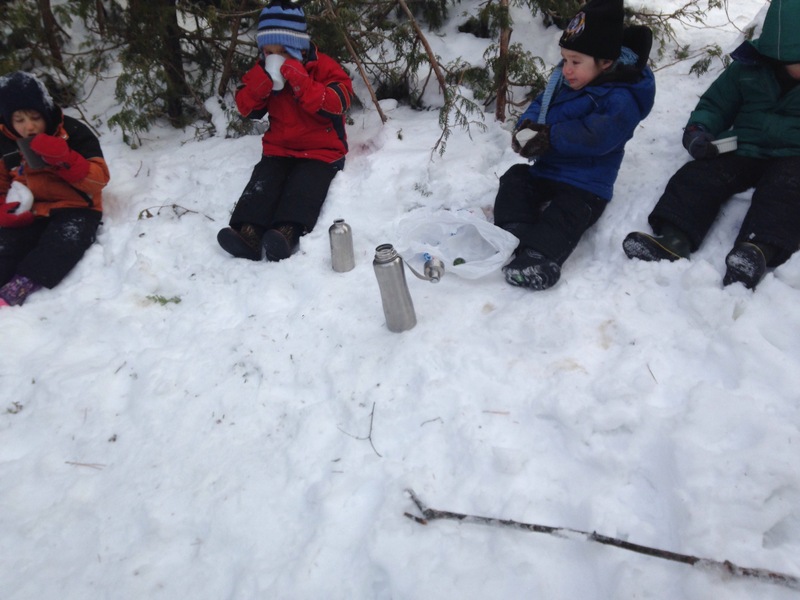 Perfect weather for outdoor play – enough nip to keep us energized but not so much to make us feel cold and we enjoyed our first batch of Cedar Tea made by the children for a little bit of extra warmth. 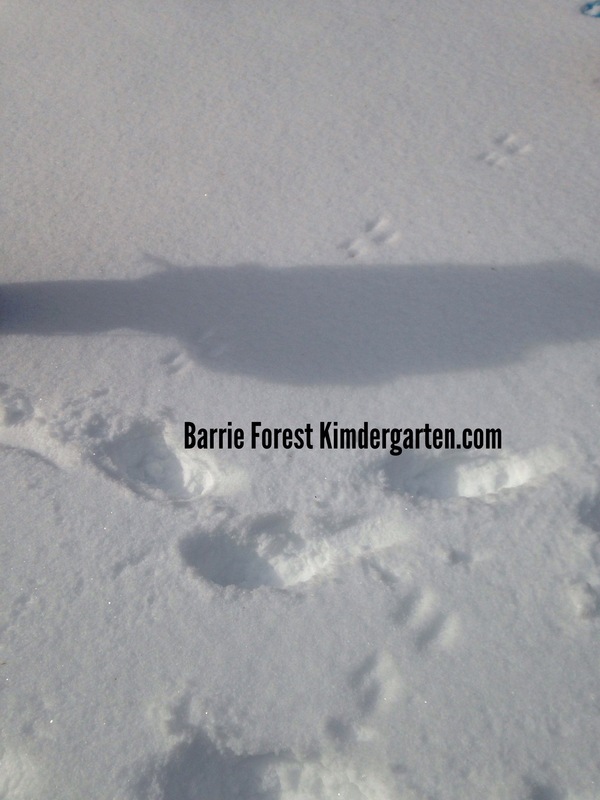 Can’t wait to start our place based learning for winter session. Fridays we are having Annishinabe Community Members and Tracks, an aboriginal organization from Trent University coming in to do teachings for the children and their families. Annishnabe teaching fit so well with child directed learning. Children are allowed to come and go with the understanding that what they hear is or will be important for them and what they miss they weren’t meant to hear right now. Love place based learning. 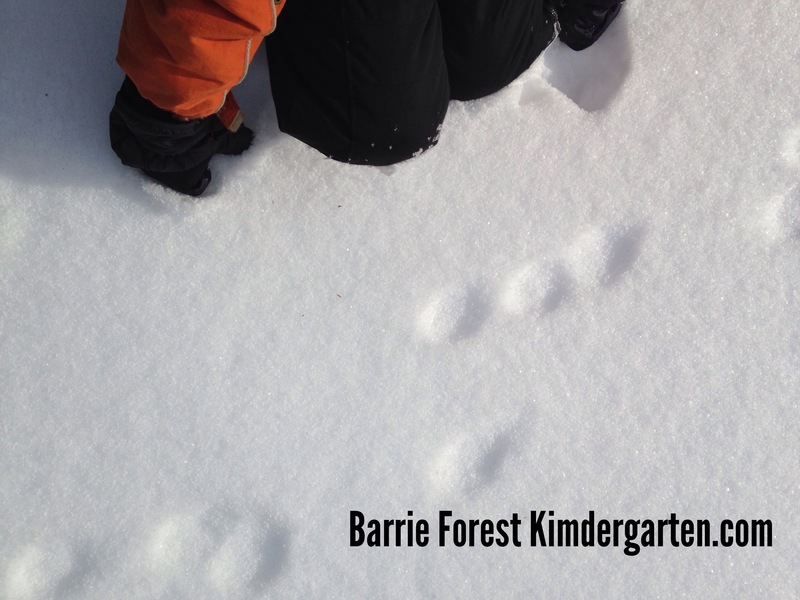 So excited to be speaking at The Ontario Outdoor Educator Conference tomorrow on how Child Directed, Play Based Learning Outside meets the Ontario Kindergarten Curriculum with my co speaker Gail Molenar. 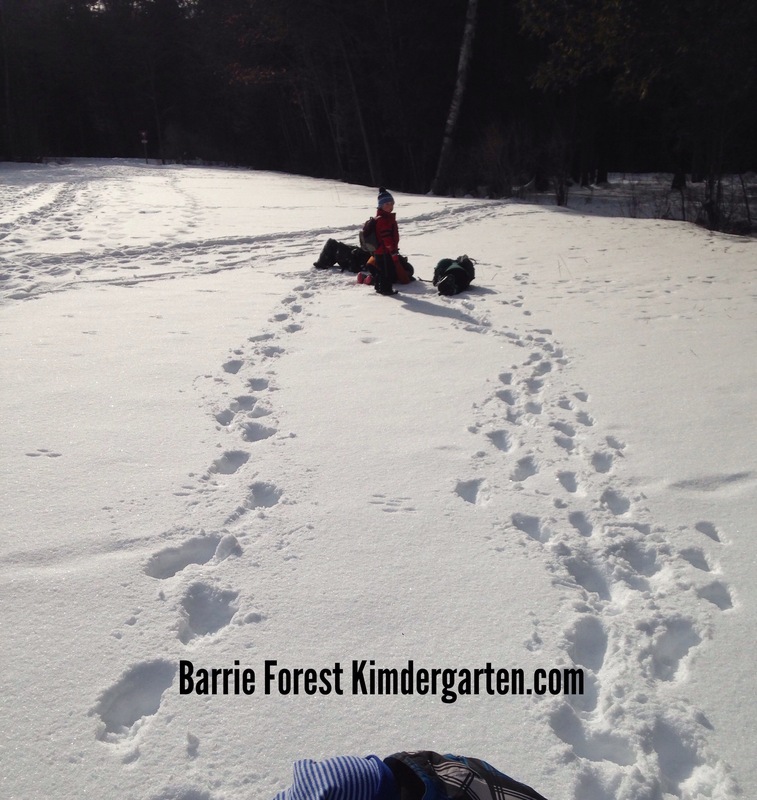 With a new revolution in Emergent Curriculum for the 3-6 set that focuses on child centred play based and inquiry based learning teachers sometimes struggle on how to turn that into curriculum without the teacher driven pre planning of yesteryear. 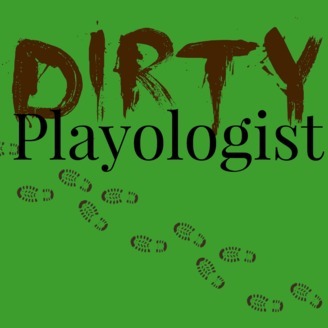 Hoping to increase kids learning from what comes naturally – their own freely chosen play by educating people on how child directed play based learning meets and exceeds curriculum goals!